The near-end of a Council Period for the Council is a bit like the lead-up to the season finale of a TV show. As the end of the season approaches for a TV show, you are reminded that certain plot points from an earlier episode have gone unaddressed, and you are curious how they will turn out. You start to get a sense of which loose ends may be resolved in the season finale, and which might turn into cliffhangers that get you to tune back in for the next season. In the writeup of the Council’s previous Legislative Meeting, we suggested that much of what occurred at that meeting foreshadowed a gangbuster Legislative Meeting in November. This was an accurate prediction. The Committee of the Whole and Legislative Meetings that began at roughly 11AM ended after 8PM, largely due to the complicated and unresolved legislative issues that were sorted out during the meeting. One such issue was the short-term rental bill, also known as the Airbnb bill. Meant to face the second of two necessary votes at the previous meeting, the measure’s final consideration was delayed until the most recent meeting due to concerns with the bill’s funding mechanism. In the end, a funding mechanism was selected, a one-home limit was maintained, as was a 90-day cap on rentals. An exception to the 90-day rule, however, was allowed for those in the military or diplomatic corps who experience longer-term work deployments and those who must leave the District to receive health treatment for a serious health condition or to care for a family member receiving treatment. Also queued up last week but acted on this week was the Language Access for Education Amendment Act, which broadly expands the list of government entities which must provide foreign language access services. It passed by unanimous vote at the most recent meeting. Two bills which had been cleared through the Committee of the Whole’s prior meeting were also considered at the most recent Legislative Meeting. One extended and/or eliminated the statute of limitations on many categories of criminal and civil sexual abuse cases. The second was a measure decriminalizing transit fare evasion, making it a civil rather than a criminal offense, so that it will no longer be punishable via imprisonment. Both received the first of two needed votes. One longstanding issue, the new hospital planned for the east end, saw action likely to move the issue towards completion. A bill intended to accelerate the development of the hospital by eliminating the required “certificate of need” process was extensively discussed at the meeting, primarily due to the fact that this exemption would also be applied to a large expansion of the current George Washington Hospital’s Foggy Bottom campus. In the end, the exemption remained in place for both projects. A second measure that looked to be primed for passage met a different fate. 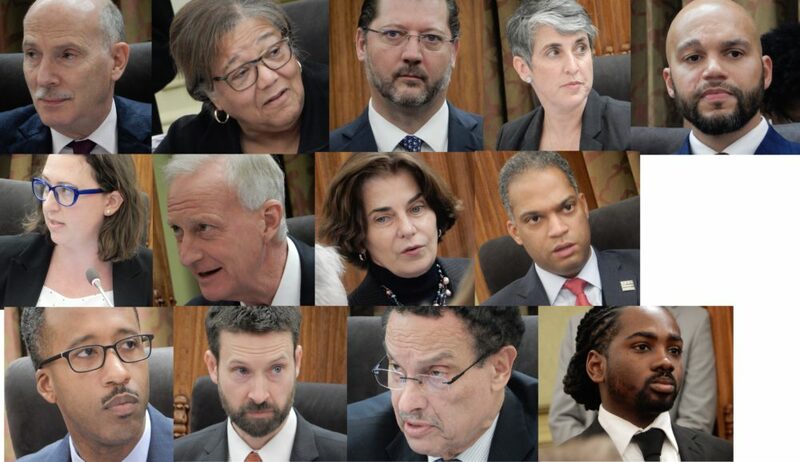 A bill reducing the voting age in DC from 18 to 16 had the majority of the Council as co-sponsors, but at the most recent meeting, a vote was taken to table the measure. Earlier in the meeting, Ceremonial Resolutions were presented to La Clinica Del Pueblo and outgoing executive director Alicia Wilson, celebrating their contributions to health care for the Latino community. Another was given to Stella Hodge, commemorating her fifty years of service to the District government. The Council will meet for an Additional Legislative Meeting on either November 20 or 27. The regularly-scheduled December Legislative Meeting will be held on December 4. Our likely last meeting of Council Period 22 will likely be held on December 18. For a full listing of all votes taken at the most recent meeting, please click here.